My wife became pregnant in the middle of 1952. The sense of impending fatherhood created tremendous excitement in me and I began researching and preparing a welcome for the new addition to my family. A few days later I went to my tailor, and while we were speaking, his two-year-old boy gave him a hug. I had witnessed this before, but at that moment, it seemed particularly special to me as a would-be father. I inquired after him, “How does it feel to be called abbu (dad)?” He replied, “Of course it is sweet, but he also is very naughty. See, he didn’t let me speak to you properly. At night he not only disturbs his mother but also doesn’t let me sleep sometimes”. Saying this he started kissing his little boy. I realised that no matter how naughty children are, a parent’s love for their child makes them forget everything. That is why Allah has given a mother a status that is three times higher than the father. A mother suffers exceedingly during the initial months of pregnancy, although the extent is not the same for all of them. Some continue to feel sick for up to five or six months of pregnancy and find it hard to eat and digest food due to a continuous tendency to vomit. Unfortunately, my wife was one of them. She had to stay under her mother’s care for the majority of her pregnancy, while I would visit her every week. I sympathised with her greatly, but it was beyond my power to help her in any way other than to pray for her. There were appointments with a doctor; however, their usefulness was limited. Finally, my father-in-law brought some herbal medicine that did some good. I didn’t dare bring her to stay with me in her frail condition. As per the custom in our country, the first child is generally born in the maternal grandparent’s house. I was avidly waiting for the day when I would be able to taste fatherhood. A telegram came on 2nd February 1952. I found the postman waiting after I had signed the receipt of the telegram. He had read the telegram and so wanted a tip, which I obliged. I came to know that my wife gave birth to a baby boy. A child is one of Allah’s biggest mercy whether it is a boy or a girl. However, I had been praying for a son as the first child of my next generation, and thanked Allah for granting my wish. As girls are married to another family, I wanted the first child to be a son so that he could be the leader of the generation and guide his younger siblings in the right direction. There is a tradition of the first child being a son in our family. My paternal grandfather, my father, and I are all the first children in our generation. The birth of my son maintained that tradition, which made me even happier. I immediately asked my father-in-law to arrange two goats to be sacrificed for the aqiqa and sent money to my father to attend the aqiqa ceremony. My father was extremely happy to become a grandfather for the first time. My brothers and sisters were proud to become uncles and aunts respectively. My mother, despite being slightly introverted, also couldn’t resist showing her elation. My father was asked to name the child. He said that he had dreamt his father (my grandfather) reminded him that the Prophet (PBUH) recommended Abdullah and Abdur Rahman as the best names. Therefore, my father decided to name him Abdullah. When my siblings asked what should be his nickname, my father said that four names can be chosen from the Arabic word amn. They are Mamoon, Ameen, Momen and Amaan and they could choose any one of them. They all preferred Mamoon, which I also favoured. In this way before his aqiqa he was named Abdullahil Mamoon. Mamoon means ‘secure’ or ‘secured’ while Amn means ‘security’ or ‘peace’, so Mamoon also means ‘having peace’. No matter how happy, emotional and proud I was to become a father, I was not aware of what the little baby needed and what to take for him, so I decided not to buy anything from Rangpur and to choose whatever was necessary from Naogaon after discussing with my wife. I saw a contended smile in my wife’s face. I had said nothing to her other than assalamu alaikum after entering the room. Everything was centred around the baby. I noticed how proud she was to become a mother and her satisfaction in being able to fulfill my desire of a son through the mercy of Allah. When I had the opportunity to speak to my wife in private I witnessed a significant change in my intimate life partner. There was a different manner in the way she walked and spoke. I had read in a book of philosophy that a woman does not feel fulfilled in her husband’s house until she becomes a mother. She probably feels that her position is consolidated after the birth of her child, which makes her feel more confident. When we went to sleep it was as before, both of us lying down beside each other; the only difference was that our new child accompanied us on the left side of my wife. It is natural that she needed to concentrate on the new baby as he was only a few days’ old. She had to change his nappies, feed him, discover what happened when he cried etc. On the other side of the mother the child’s father was comfortable, while the mother needed to be ever busy. There is no comparison to the care a mother gives to a child. This naturally makes the father of the child appreciative of his wife. I felt very grateful to my wife upon seeing her dedication and sacrifice for our son. Despite feeling very happy and proud on becoming a father and appreciating the sacrifice and dedication of my wife towards the care of my son, I still felt a unique sense of pain in my heart. It is such a feeling that one can feel inside, but will find it difficult to explain to others. Those among the readers who have the experience of becoming a father may well have forgotten this pain, but should remember this pain after reading this. The inimitable love towards the child and the pride of being a father quickly makes this pain disappear from our memory, but no one can deny the existence of that temporary sense of misery. I should now explain which pain I am talking about rather than testing the readers’ patience further. In a previous chapter I had written about the feeling I had after getting married that made me feel very content, which was the appearance of a person in my life who was entirely mine. She was only mine from the night till morning and it was only I who was the centre of all her attentiveness. No one else had any right over her at that time. After she became a mother I did sleep beside her, but her attentiveness towards me reduced to less than 10% compared to before. I felt that bitterness quite intensely on that first night. Where had my intimate life partner disappeared? How could another person take over her completely? How could I suddenly be deprived of my right? Can we describe this feeling with anything other than pain? This torment is not only subtle, but deep as well. One can share their different types of pain with others, which can be reduced and overcome by the support and help of others. This is one pain that can’t be shared with anyone. My wife will also know for the first time about my distress after reading this, and will realise the pain I felt all those years ago, but I did not confide these feelings even with her. When one can’t share one’s pain with others then the pain becomes even deeper. After spending two such ‘painful’ nights with my life partner and after the aqiqa, the next day I returned to Rangpur. For one and a half months I continued to spend two nights with my family every week. Today, I have expressed this feeling that no one else other than Allah had known before. The world is such a place that there is no happiness without pain. This is such a universal truth that no one can deny it. How much pain does a mother need to go through before having the pleasure of having a baby? Compared to what she went through my temporary anguish is nothing, especially in relation to the pleasure of becoming a father. A highly encouraged practice in Islam when an animal is sacrificed and the meat distributed among relatives, friends and the poor on the occasion of the birth of a child, generally after seven days of birth. I got married on 28th December, 1951. The ‘Bridegroom’s Party’ returned to Chandina with the new bride. My mother was very excited to have her first daughter-in-law in the house and kept reminding us how happy my grandmother would have been if she was alive to see that day. There is a tradition in Bangladesh that the bride is accompanied by some of her close relatives when she first comes to her in-laws’. My wife was accompanied by her younger brother Akram, her cousin Hena, who was just a child, and her maternal grandmother whose presence in our house delighted me as I found her extremely pleasant with a wonderful sense of humour during the rusumat after my wedding. Her presence made my post married life even more delightful. My father was keen to arrange a walima, but could not do so due to some genuine problems. The bride generally returns to her father’s home after the walima, which is usually held within a couple of days of the wedding. As he couldn’t arrange the walima, my father asked my father-in-law to take his daughter back to her home after a week, which he did. I stayed at my in-laws in Naogaon for a couple of days before leaving for Rangpur promising my wife that I would take her there as soon as I sorted out my family accommodation. I brought my wife from Naogaon to Rangpur in the middle of February 1952. I was given the house of the Vice Principal as my temporary accommodation as it was empty due to the absence of a Vice Principal at the college at that time. The house had several rooms, but there was no furniture, so I managed to get the minimum I needed to start my family life before bringing my wife. This time my wife’s paternal grandmother accompanied my wife to Rangpur. A boy called Abdul Jalil worked as my domestic help and had been in my house since before my wedding. He was a simple, honest and active boy who learned cooking from me. I had a cooking badge when I was with the scout movement during my school years, which came in very handy in my professional life. I taught several of the domestic help boys I had to cook, and each of them left getting a better job. However, Abdul Jalil did not leave me. He used to call me Abba ‘father’ with such sincerity that I had to treat him as my own son. I give him the full credit of building that relationship and due to him my family life in Rangpur was very smooth. He used to complete all his tasks with a smile. One can never repay the contribution of such a sincere individual with money. He stayed with me until I left Rangpur in 1955. Even after that he used to come and see me whenever I visited Rangpur for an organisational trip of Jamaat. Although my wife’s paternal grandmother was quite old, she was a very influential figure due to her robust personality and strong voice. My father-in-law had lost his father during his boyhood and since then his mother gave him the love and care of both parents. She was a towering figure in the house and my father-in-law showed deep respect for his mother, considering her Allah’s greatest blessing. He remained an obedient son till his mother’s death. However, I could see a different side of this imposing personality in my house. I could never forget the warmth of her affection towards me as the husband of her beloved granddaughter, and her sincere love brought immense pleasure in our newly wedded life. She used to live in the room next to ours from where the beautiful fragrance of her zarda reached our room. The fragrance followed her wherever she walked. She had her own equipment to soften the zarda as she had lost all her teeth. I asked her where she found such fragrant zarda and was told that her son-in-law, Mawlana Abdullail Baqi Al Qureishi, who was then a leader of the Muslim League and a member of the Pakistan Parliament, used to bring this special zarda from Lucknow in India for his mother-in-law. Mr Baqi was the father of Professor Dr M A Bari, the former Vice Chancellor of National University, so my beloved grandmother-in-law was Professor Bari’s nani (maternal grandmother). I wasn’t in the habit of chewing paan, but my grandmother-in-law taught me in a very beautiful and sweet manner. She used to prepare two paans herself and used to give one to me and the other to her beloved granddaughter. She would make us sit together in front of her and ask me to put the paan into my wife’s mouth and asked my wife to do the same to me. We felt very happy doing it. She used to chew paan in such majestic style that we used to perform as if we were her obedient actor and actress. This continued every day for almost two weeks. We would have paan together once or twice a day and she used to tell us different stories. We had to finish every paan in front of her. After a couple of days she gave me silver coloured zarda to have with paan. It wasn’t very tasty, but I liked its fragrance, so I started having it too. She knew that her granddaughter couldn’t tolerate its taste, so she asked me to join her in chewing zarda and paan together, and soon I became rather addicted to this bad habit, which took a while to shake off. The time of year was the end of February and beginning of March. The Language Movement of 1952 was in full flow at that time. I was active with the movement outside, but at home I was enjoying a happy married life along with my paternal grandmother-in-law. On 6th March I was arrested and sent to jail when I was on my way from the city to the college campus. There was no other male member in my house at that time other than my domestic help Abdul Jalil. When my father-in-law came to see me at 10 am on the third day of my arrest, I came to know that one of my students had informed my father-in-law by telegram of my arrest, so he had come to take his mother and daughter back to Naogaon. In this way instead of enjoying my newly married life, I had to spend my days alone in a prison cell. I spent the first spring of my married life in jail for the ‘crime’ of being involved in the Language Movement. The Language Movement before and after 21st February spread all over East Pakistan, and in Rangpur three college teachers were in the leadership of the movement. Incidentally all three of them joined Rangpur Carmichael College together on 3rd December 1950. Apart from myself, the other two were Professor Zamiruddin Ahmed of Bangla and Professor Kalim Uddin of Philosophy. As Professor Kalim Uddin was not in Rangpur at that time, he avoided being imprisoned, so Professor Zamiruddin and I passed our time in prison together. I mentioned in a previous chapter that the Jailer of Rangpur, Mr Wahiduzzaman, was a friend of Professor Zamiruddin, and he ensured that we were given Division in jail. It was because of him that we were treated very well in the prison. The staff and other prisoners respected us a lot. I used to spend time reading books borrowed from the jail library. There was an arrangement for Friday prayers as well, which was led by someone from outside. I asked the Jailer if I could speak before or after the prayer to inspire the prisoners towards Islam, but he said he couldn’t allow me to do so without permission from his superiors. After the prayer I started supplicating to Allah aloud and said all those things in the supplication that I would have said if I was allowed to speak. I pleaded Allah to help the prisoners describing the difficult life they were having and seeking His blessings for them, and realised that everyone was crying and feeling content with the dua. Subsequently, however, orders from above,prohibited me from attending the Friday prayers any more. I was arrested and sent to jail in the third week after bringing my wife to Rangpur and beginning our new married life together. The effect of this separation was very painful to me. I was not there for any crime, but under a so-called ‘Special Security Act’. After joining the Islamic movement I went to jail in 1955, 1964 and 1992 and took some pleasure in my stays in jail, but that mentality hadn’t developed in 1952, meaning that it was a difficult time for me. Prison life in later years was for me a blessing from Allah. The opportunities I had for studying the tafseer of the Qur’an, the hadith, and Islamic literature; memorising many chapters of the Qur’an; reciting the memorised chapters during the tahajjud prayer; enjoying the moments when I could spend a long time supplicating and pleading to Allah; and memorising many duas from the Qur’an and hadith could never be availed outside the prison life. During many of the Jamaat Central Council meetings, District President meetings, and at many training sessions of Jamaat and Shibir, I would often joke that if I had the power of sending people to prison then I would send them to jail for six months to develop the highest level of spiritual training. However, jail life in 1952 was not that pleasant as I hadn’t developed that mentality at that time, so I often felt restless and wanted to leave prison life. I never felt like this after joining Jamaat-e-Islami. The marriage banquet, is the second of the two traditional parts of an Islamic wedding. The walima is performed after the nikah, or marriage ceremony. The word walima is derived from awlam, meaning to gather or assemble. It designates a feast in Arabic. The largest university in Bangladesh with more than two million students studying in 2154 colleges/institutions affiliated to this university. A preparation combining betel leaf with areca nut and sometimes also with tobacco. It is chewed for its stimulant and psychoactive effects. After chewing it is either spat out or swallowed. Special provision in jail in Bangladesh, particularly for political prisoners where they are treated well and given better quality food and service. It was April 1954. My restless mind became a bit stable after having been invited by Mr Abdul Khaleque to attend their conference in Gaibandha. On the very day I was supposed to travel, the President of Tablighi Jamaat, Mawlana Abdul Aziz, was scheduled to reach Rangpur. He was the main leader in Tabligh and as the president of its Rangpur branch, I was supposed to be his host. However, I needed to travel to Gaibandha to know more about Jamaat-e-Islami. It was a great dilemma for me. I decided that I would ask my youngest brother Mahdi (then a higher secondary student at my college) to take Mawlana Aziz from the station to the main Tablighi Mosque in Rangpur. His train was supposed to arrive before the departure of my train to Gaibandha, so when he arrived, I informed him very respectfully the reason for my failure to accompany him and said that my brother would drop him at the Tablighi Mosque. Mawlana Aziz looked at me with astonishment and was unable to say anything due to the shock of seeing me leave like this. I understood that it was natural for him to be confused to see me leave when I was aware of his visit. Due to our close relationship, he was surprised that I could behave in that manner. However, I had little time to explain to him the reasoning behind my departure as my train was only a few minutes later. He came to know from my brother that I was travelling to Gaibandha to attend a conference of Jamaat-e-Islami. Later, I came to know that he immediately wrote to my father, who was then attending a Tablighi chilla in Lahore, saying that I had joined an organisation which was worse than Qadianis. Mr Abdul Khaleque received me from Gaibandha Station and took me to a place where guests from Dhaka had been resting after lunch. There was no opportunity to be introduced to them before the conference, which was held at the Municipal Park in Gaibandha. I sat on a bench in the park and listened to the speeches. Mr Khaleque was one of the three people that spoke at the conference until the Evening Prayer. The two other speakers, who spoke in Urdu, were the Dhaka City President of Jamaat and a young lecturer of Economics in Dhaka University, Mr Muhammad Ozair, and the organiser of Jamaat’s North Bengal Zone, Mr Asad Gilani. The Chief Guest was Mawlana Abdur Rahim, the then provincial secretary of East Pakistan Jamaat-e-Islami who spoke after the evening prayer. After the prayer finished, some students of Rangpur Carmichael College came to see me, among whom some were my own students. I went back to the bench I was sitting at after the prayer and found myself surrounded by 20/25 students of my college. I was known as a preacher of Islam due to my speeches after the noon prayer at the college building. As Gaibandha College was newly established at that time, most students from Gaibandha studying at degree level were students of Rangpur. I felt quite embarrassed when suddenly Mr Khaleque made an announcement during Mawlana Abdur Rahim’s speech saying, “We received several requests from students of Rangpur College to allow their teacher, Professor Ghulam Azam, to speak. He will speak immediately after the conference of Jamaat-e-Islami officially concludes.” I felt uncomfortable that some might imagine that I had asked my students to make such a request. Nonetheless, when the conference officially ended and all speakers left the stage, I went up the stage and said, “This is a conference of Jamaat-e-Islami, so it was improper to ask someone from outside to speak here. I came from Rangpur to listen to the leaders of Jamaat. I was not supposed to speak here, nor had I any intention to do so. It is very kind of the leadership of Jamaat-e-Islami to have listened to this illogical demand from some of my students, and therefore I thank them for their magnanimity.” After this opening, I spoke for 15 minutes highlighting the sovereignty of Allah and asking all to join Jamaat-e-Islami. After the night prayer and dinner, Mr Abdul Khaleque introduced me to the leaders of his party. Mawlana Abdur Rahim and Professor Muhammad Ozair sat with me while Mr Asad Gilani went to rest as he was very tired. Another person in the meeting was Sheikh Amin Uddin from Bogra. Mr Abdul Khaleque introduced me as the President of Rangpur Tablighi Jamaat before he left. I wanted him to stay in the meeting and expected him to ask me about the books he had given me a month before, but he had some post conference engagements that he could not avoid. The meeting ended at 11.30 pm. Sheikh Amin Uddin held my hand and took me to a room where two beds had been arranged. He asked me to sleep in one of them. For over an hour I continued to cry to Allah, repeating these words until the adhan for the morning prayer. After the adhan, Sheikh Amin Uddin got up, did his ablution, picked me up from the prayer mat, hugged me with deep brotherly love, and took me to the place where the morning prayer was meant to be held. There, Mawlana Abdur Rahim led the prayer and I enjoyed his recitation very much. After the prayer, brother Amin Uddin took me near Mawlana Abdur Rahim and brought a piece of paper and a pen from Mr Abdul Khaleque and gave them to me. I started reading the paper carefully while others around me were silently staring at me. The paper I was given was the form to join Jamaat-e-Islami. I liked every word in the form and found nothing to disagree with, so I quietly completed the form and signed it. Subsequently, Sheikh Amin Uddin immediately asked Mawlana Abdur Rahim to make dua. While Mawlana Abdur Rahim was supplicating in Bangla, Sheikh Amin Uddin was translating it into Urdu. He prayed to Allah to enable me to make a significant contribution to the Islamic movement. Although I found little emotion in the Bangla dua, Sheikh Amin Uddin’s dua made me emotional. I cannot express in words how content I felt after the dua. The restlessness that had lasted a month was now diminished. The stress of uncertainty had completely disappeared. Sheikh Amin Uddin was the first to give me an emotional embrace after which everyone else embraced me and graciously welcomed me into the organisation. I felt very happy after hearing everything from him, but at the same time was embarrassed that I had displayed such a degree of emotion through my dua that I was oblivious to his presence and had caused him to awaken. The day of my joining Jamaat-e-Islami is so significant in my life that I still remember each miniscule detail. It was Tuesday, 22 April 1954. The day is also meaningful in another way as I was also born on a Tuesday, whereas the Tuesday of 22nd April was my new birth in the way of deen. After spending a month with uncertainty, Allah enabled me to come to the right decision on that day. A term used by some South Asian Muslims to refer to the Ahmediyya community, although it is considered pejorative to that community. Although they identify themselves as Muslims, many do not consider them Muslims due to their belief that Prophet Muhammad (PBUH) is not the last prophet. Another nearby district of northern Bangladesh. Best use of language while calling people to Allah’s cause as advised in the Qur’an. Late night prayer before dawn highly recommended to come closer to Allah. In the early 1950s, I was the Ameer (President) of Tablighi Jamaat in Rangpur and at the same time the leader of the Rangpur chapter of Tamaddun Majlish. I was not aware of the existence of Jamaat-e-Islami till then. I had read and was influenced by the thoughts of Mawlana Mawdudi by reading the English translations of two of his books ‘The Process of Islamic Revolution’ and ‘Political Theory of Islam’, and the Bangla translation of another book Ekmatro Dhormo (The Only Religion) through my involvement with Tamaddun Majlish. However, I did not learn anything about the Jamaat-e-Islami organisation through reading those books. I was already upset about the Muslim League due to its serious betrayal of the Islamic ideology by both the central and the provincial governments, and my annoyance intensified because of their role against the Bangla language movement. Moreover, after reading Mawlana Mawdudi’s ‘The Process of Islamic Revolution’ I became clear that there could be no service towards Islam by the Muslim League. Therefore, I politely told the representative of Jadu Miah that I had not yet decided to join any political party. I was not mentally prepared to join a political party that was not Islamic as I was involved with both Tablighi Jamaat and Tamaddun Majlish, and the impression about an Islamic political party I developed through reading Mawlana Maududi’s book made me sure that there was no such party in Pakistan at that time. One of my comrades during the language movement in 1952, Sufi Motahar Hossain, asked me to join a political party called ‘The Democratic Party’. The party was not very big, but I decided to consider the proposal as I had known its leader Mahmud Ali since the Pakistan Movement. He later became the Provincial Secretary of the Muslim League when Mawlana Abdul Haid Khan Bhashani2 was its President. I did not know much about The Democratic Party, but understood by its name that democracy was its ideology. I also liked its leader and was close to Motahar through my involvement in the language movement, so I agreed to join the party and become the convener of the party’s Rangpur branch, though Motahar did the main work of the party, with me officially as the leader in Rangpur. It was most likely 1953 when Mahmud Ali came to visit Rangpur to speak at a party event held at the District Board Hall, with me in the Chair and Motahar as the master of the ceremony. Interestingly, most speakers in the programme praised socialism more than democracy whereas there is no place of democracy in socialism. Although the Chief Guest Mahmud Ali spoke in favour of democracy, he maintained that the public do not get the benefit of democracy without socialism. I felt very embarrassed as the Chair of the event and realised that it was impossible to work with these people. However, I decided not say anything against socialism at that event and just spoke about the importance of democracy and strongly reminded everyone that Allah’s sovereignty should be the essence of all democratic work. After the programme, I invited Mr Mahmud Ali for dinner at my house in the college compound and handed over my resignation from membership of his party. He realised that I was not ‘fit’ to be a member of his party. I had never been approached by anyone from Jamaat-e-Islami before and the party had no branch in Rangpur. Hence I never knew that such a party even existed. It was Allah’s blessing that He showed me the way in a miraculous fashion, i.e., without my intention or effort and without any direct approach from Jamaat I received its call and eventually decided to join them. The incident was very interesting. I received a letter from Engineer Mukit, a central leader of Tabligh, that a group of Tablighi brothers were coming to North Bengal on foot, which meant they were stopping at different places on their way here and that they would reach Gaibandha (a neighbouring district) on a particular date where I should meet them. I reached Gaibanda on that day, which was Friday, and met the brothers from Dhaka. I was told that they have taken permission from the imam and the chair of the mosque committee for me to speak after the Friday prayers. To my surprise, the announcement after the prayer said that there would be two speakers – Ghulam Azam on behalf of Tablighi Jamaat and Abdul Khaleque on behalf of Jamaat-e-Islami. This is the first time I heard the name of Jamaat-e-Islami and was quite happy and eager to hear what they had to say. I was given the opportunity to speak first. I talked about the six Usul (principles) of Tablighi Jamaat and invited everyone to join the brothers who came from Dhaka. Then Mr Abdul Khaleque talked about the revolutionary call of the Kalimah Tayyiba3 and asked everyone to join Jamaat-e-Islami to establish a society and a state based on the principles of Allah’s obedience and the Prophet’s leadership. After his speech he shook my hands and was introduced to me. We found out that we came from the same sub-district, so we felt closer to each other. He urged me to leave the mosque with him and I could not refuse. Mr Abdul Khaleque’s question put me in a huge ocean of thought as I was aware of Islam’s revolutionary message through Tamaddun Majlish. The two books he gave were Banao our Bigar (Build and Break) and Hedayat (Guidance). He had to give me the Urdu versions as these books were not translated into Bangla then. I had learned to read Urdu during my Tablighi Chilla, but the language of the books was slightly difficult. I finished Banao our Bigar during my journey back to Rangpur and though it was challenging I could understand its core message. I felt that someone was pulling me out of Tablighi Jamaat and dragging me towards Jamaat-e-Islami. I became restless after connecting the message of that book with the book I previously read by the same author ‘The Process of Islamic Revolution’, which talks about Allah’s role in the running of a society and a state. Moreover, the more I searched for the answer to Mr Abdul Khaleque’s powerful question, the more perplexed I became and found no logical answer. In this restless condition I went to my next door neighbour Mawlana Syed Ishaq Ahmed who was a senior colleague and a professor of Arabic. Despite our age gap, we were very close. I asked him to read the book and said, “I have come to know a new Islamic movement called Jamaat-e-Islami and I want to talk with you about it after you have read this book.” I met him at 10 pm the night I reached Rangpur from Gaibandha. The next morning after breakfast I started to read the other book, Hedayat, when Professor Ishaq came to my house and, in a voice filled with emotion, said, “Where did you get this book? I finished it last night and have been unable to sleep well since then. Please give me another book by the same author if you have one.” I discussed with him the question Mr Abdul Khaleque asked me. Before he left, Professor Ishaq took the book Hedayat before I could finish. It was March 1954. The college was closed then at that time; if this were not so, I would have had a lot of problems. I was so restless that I began to develop irregular eating and sleeping habits. I was so sincerely involved with Tablighi Jamaat that it was difficult for me to leave that organisation. I was going through a huge mental turmoil as confusion about the deen is a very complex matter. I felt very tense because the success or failure in the hereafter is directly related to my decision to stay with or leave Tablighi Jamaat. My attraction towards Jamaat-e-Islami increased when I talked to Professor Ishaq, and I was surprised by how quickly he became contented while I remained indecisive. It was probably simple for him to make such a decision quickly because, unlike me, he didn’t have to leave an organisation. After reading Hedayat Professor Ishaq said, “I have never had such beautiful impression about the relationship with Allah. I kept pleading to Allah for guidance after reading this book and He helped me make the right decision”. As my wife and two small children were at my in-laws at that time I kept myself fully occupied thinking about this issue day and night. I felt uneasy as I had never found myself in that situation before and thought that I should talk to Mr Abdul Khaleque about it. Two weeks passed in that way when I received an encouraging letter from Mr Abdul Khaleque in which he invited me to attend a conference of Jamaat-e-Islami in Gaibandha where central leaders of the party would arrive from Dhaka. I was already considering going to Gaibandha to meet Mr Abdul Khaleque, so I immediately decided to attend the conference and began to feel better thinking that I would get to know Jamaat-e-Islami better by attending their conference. I started to count days until I would attend the conference. 1 A former Bangladesh Senior Minister, with the rank and status of a Prime Minister, during the presidency of Ziaur Rahman. 2 Mawlana Bhashani is regarded as the proponent of anti-imperialist, non-communal and left-leaning politics by his admirers in present-day Bangladesh and beyond. 3 The first article of faith that declares that there is no god but Allah and Muhammad (PBUH) is his messenger and servant. In mid-1952 a person named Sulaiman Khan of Tamaddun Majlish came to see me at my Rangpur College campus home. He came all the way from Chittagong just to see me. I was surprised and asked him the purpose of his visit and was told that he came to talk about Tamaddun Majlish. I cordially invited him into my house upon hearing the name Tamaddun Majlish. I had heard about this organisation many times when I was politically active in Dhaka University in 1948. During the Language Movement I used one of their books called Is Pakistan’s State Language Bangla or Urdu? (Pakistaner Rashtro Bhasha Bangla na Urdu?) during the campaign to establish Bangla as a state language. I had also seen the founder of the organisation, a young lecturer of Dhaka University, Mr Abul Kashem, several times although I was never formally introduced to him. Mr Khan stayed with me for two days. As my wife was not at home we spent a lot of time together and discussed many things and soon became close friends. I was impressed by his sweet smile, conversational style, and his ability to speak eloquently. I developed deep love for him as a brother of deen (religion). He told me that the Tablighi Jamaat teaches the meaning of the Kalimah; that there is no other god than Allah, and teaches the oath that one will spend one’s life obeying Allah’s orders following the path of Prophet Muhammad (PBUH). This is obviously correct in terms of wordings, but when they use the word ma‘bud to mean ‘someone to worship’ only and the word ibadah (worship) is confined to some religious rituals then this Kalimah bears little revolutionary significance. Therefore, the fact that the oath in the Kalimah is applicable to all walks of life is not highlighted much by Tabligh, although it instils the sense that the promise in the oath has to be kept. This little speech of brother Sulaiman shook my conscience and touched my heart. He reminded me that we also need to lead our social and economic lives by obeying Allah in the path of the Prophet (PBUH), highlighting the fact that our Prophet himself led a huge revolution in his land of birth on the basis of the Kalimah. That Tamaddun Majlish called upon people with the message of this revolution left me no other option but to join them. I had never received this type of message before. I completed the membership form of the organisation and took the responsibility to develop and lead it in Rangpur. He left some books with me, which I bought from him. I found two key points about the movement from those books – the sovereignty of Allah and that He is the owner of all our wealth. As a student and then a teacher of political science, I knew the word ‘sovereignty’ very well as an important terminology in the discipline. One of the four core components in the definition of a state is sovereignty. The book, The Grammar of Politics, written by a famous British political scientist, Professor Harold Laski, was my textbook at MA level. In its chapter on ‘Location of Sovereignty’ he proved that there is no such thing as a ‘sovereign force’ in a state. It is not possible to find out where to find the features of sovereignty that political science speaks of. I knew this concept very well and had to teach sovereignty as a key term in my discipline to my students. In fact, I was a bit perplexed about how to go about with this concept as I was a strong supporter of Laski’s theory. After getting the solution of the term through Tamaddun Majlish I began to invite people to this movement making the sovereignty of Allah as the key point in my discussions. The attributes of Allah found in Ayatul Kursi are similar to quite a few features of sovereignty in political science. I realised that Laski’s confusion on the concept can only be resolved by accepting Allah as the sovereign entity. I also acquired the book Political Theory of Islam by Mawlana Mawdudi through my involvement with Tamaddun Majlish. My concept of sovereignty became clearer after reading that book and I started lecturing my students based on my renewed understanding of the concept. I developed a partial understanding of the second point of brother Sulaiman’s speech that Allah is the owner of all our wealth, which can be found in the verse: ‘Allah is the owner of everything in the heavens and the earth (lillahi ma fis samawati wama fil ardh)’. Therefore, Islam does not believe in personal wealth, which is the basis of a capitalist economy leading to economic oppressions in a society. The political mission of Tamaddun Majlish was clear to me and, as it was related to my academic discipline, I decided to concentrate my calls to the organisation on this point. As I was not yet very clear on the economic aspect, I decided to know more about the area before speaking about it. I continued to serve both Tablighi Jamaat and Tamaddun Majlish simultaneously as the leader of their Rangpur chapters, emphasising the importance of both organisations. Tablighi Jamaat remained central to me in terms of spirituality, while I continued to call people towards Tamaddun Majlish highlighting its political and economic thoughts. I was satisfied that both these organisations were able to lead me to the establishment of Islam in my life. I still remember that I once took some posters of Tamaddun Majlish while going on a Tablighi chilla. After joining Tamaddun Majlish, my first opportunity to attend a major programme of the organisation was the Islamic Cultural Conference held at the famous Curzon Hall of Dhaka University in October 1952. The three-day conference was presided over by the President of Tamaddun Majlish and a professor of philosophy, Dewan Mohammad Ajraf, while the conference was inaugurated by the editor of Daily Tasneem of Lahore, Mawlana Nasrullah Khan Aziz. I was asked by the founder secretary of the organisation, Professor Abul Kashem, to bring the guest from Lahore to the conference venue from 205 Nawabpur Road where Jamaat-e-Islami office was at that time. He gave his inaugural address in refined Urdu, which I didn’t understand very well as I had only learned enough Urdu to carry basic conversation. However, I did understand the spirit of Islamic movement in the speech. As already mentioned, I understood the concept of Allah’s sovereignty very well, but was not very clear about the concept of Islamic economics while working with this organisation. In the session on social science in the conference, I became a bit worried about the content of a speech by one Mir Shamsul Huda whose topic was, ‘Allah + Marxism = Islamic Economics’ where he clearly announced that we can accept a Marxian economic system as Islamic. Although Karl Marx was an atheist, he suggested that if we just avoid the atheistic concept of Marx, then there is no problem. 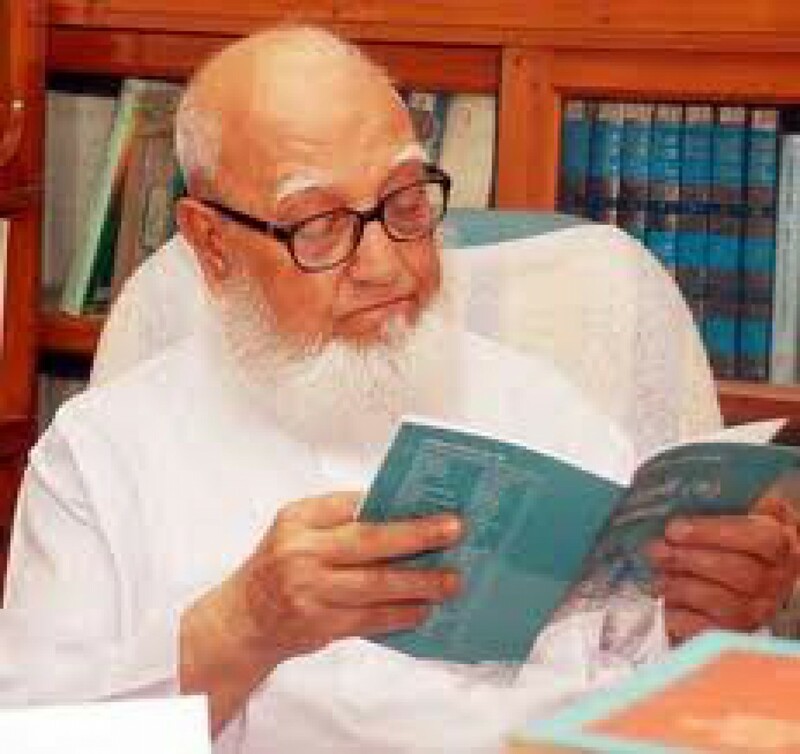 I had read and initially liked a book written by the Chair of that session, Mazharuddin Siddiqui, entitled Economic System of Islam, and liked some aspects of it, but when I came to know that he accepted Socialist economics as Islamic I lost interest in it. It seemed that due to the lack of knowledge on Islamic economics, even some Islamic scholars considered socialism as an alternative to capitalism. I spent 15 days during the Ramadan of 1953 at a training camp of Tamaddun Majlish where I realised that they loved Islam with sincerity and had strong faith in Allah, the Prophet (PBUH) and the Quran. They were also very keen to learn about Islam, but as there was very little Islamic literature at that time they struggled, like I did, in developing in-depth knowledge of Islam. I was particularly concerned that my knowledge about the Islamic economic system remained unclear. Personal wealth is the foundation of capitalist oppression, so it is not natural for Islam to support personal wealth, because Islam cannot support oppression. We thought that the verse lillahi ma fis samawati wama fil ardh, which means ‘whatever exists in the heavens and the earth belongs to Allah’ is a straightforward announcement against personal wealth. We also thought that labour was the only cause for production. Socialism does not accept personal wealth as the ‘cause of production’ because of its hatred towards capitalist economics. We used the verse laisa lil insani illa ma sa’a, which means ‘man can have nothing but what he strives for’ to support this principle. The essence of this principle was that only labour is the source of production and that no one has the right to any wealth without labour. When Professor Kashem reminded that Islam does not support personal wealth as declared in the verse lillahi ma fis samawati wama fil ardh, Mawlana Mawdudi said, “Allah Himself has given the right to inheritance after the death of a person. He has allowed personal wealth. This misconception has been created due to not understanding the verse properly. Allah is the supreme owner and the ownership of human beings is controlled by Allah’s doctrines. Through that verse Allah tells humans that you are not the supreme owner of your wealth that you can use them however you like. Allah is the ultimate owner of your wealth and it is He who has given it to you, so it is the responsibility of human beings to follow the instructions of earning and spending wealth. Capitalism has been created due to violating those instructions, which has led to public being oppressed by the privileged few”. Although I left Tamaddun Majlish and joined Jamaat-e-Islami, I have always had a good impression about the organisation and never said anything negative about them. I have written in several books how grateful I am to the organisation as it is my involvement with this organisation that led me to join the Islamic movement. After Mr Abdul Khaleq invited me to join Jamaat-e-Islami in 1954, and after reading two Urdu books he gave to me, I could feel that someone was dragging me to that organisation. I was satisfied with the spiritual side of Tabligh and the political side of Tamaddun Majlish, but when I realised that both could be found in Jamaat-e-Islami, then I decided to leave both these organisations and get involved in all aspects of Islam in one organisation rather than being involved in two. Given my closeness to the Tablighi Jamaat, I am doubtful about whether I would have joined Jamaat-e-Islami had I not been involved with Tamaddun Majlish. I sincerely acknowledge the contribution of Tamaddun Majlish for paving the way for me to join Jamaat-e-Islami. I am forever grateful to Tablighi Jamaat and Tamaddun Majlish for their contribution towards my life as a Muslim. Tablighi Jamaat gave me the spirit of missionary work while Tamaddun Majlish made me the understanding Islam as a movement for social revolution. I first heard the term ‘Islamic movement’ from Tamaddun Majlish. If brother Sulaiman had not come all the way from Chittagong to invite me to Tamaddun Majlish, I would not have joined it only by reading their literature. Similarly I would not have joined Jamaat-e-Islami had I not been approached by Mr Abdul Khaleq. From my own experience I have come to learn that people may be influenced by the speeches at public meetings or other gatherings, but no one joins an organisation if they are not personally approached by someone. A major coastal seaport city and financial centre in south eastern Bangladesh. An Islamic cultural organisation in Bangladesh, established in 1947 in erstwhile East Pakistan, which founded the Bangla Language Movement. The first article of faith in Islam. The Throne Verse or Ayatul Kursi, is the 255th verse (ayah) of the second chapter (sura) Al-Baqara in the Quran. It is one of the most famous verses of the Quran and is widely memorised and displayed in the Islamic world due to its emphatic description of Allah’s power over the entire universe. After the night prayer (Isha) when we finished our food, I was called to go inside to meet my bride. The ceremony where the bride and the groom meet each other is called rusumat. It is a Persian word, which means ‘tradition’. In our country many un-Islamic things usually happen in this ceremony where cousins, relatives and friends of both sides gather and have fun without any regard to the boundaries of the Sharia. Generally, the bride’s grandmothers lead these ceremonies. As I knew what happens in rusumat, I was a bit worried. However, when I went inside my worries disappeared as only the younger brothers and a sister of the bride along with some other cousins and relatives who were not yet adult at that time were present. There were no young men or women whose presence there would be deemed un-Islamic. Most people marry only once. Very few educated people in our society have two wives, though some people remarry if their wife passes way. Having more than one wife at the same time may be common in the Arab world, but is very rare in our country. Those who have more than one wife struggle to maintain peace in the family. Marriage is truly a large part of one’s life. The bachelor life before marriage is without difficulty for most people, but if a person loses his wife or becomes divorced, life becomes extremely tough. People are used to life without a wife before getting married, but marriage brings a great change in one’s life as if a revolution has taken place. The lifestyle becomes completely different and a person’s daily routine is changed for ever once a woman becomes his life partner. He prefers to spend as much time as possible with his wife. I mentioned before that I wanted to get married a bit later. I was not desperate at that time to have a wife and could have managed well without getting married for a few more years. However, as soon as I was married I began to feel that the life of a bachelor was no life at all. I was amazed to discover the way a new person could conquer me in such a big way. Someone I had never met before became such an integral part of my life; no one else could ever become that. There was another feeling at that time that gave me overwhelming pleasure. It was the feeling that there was one person who was entirely mine that no one else could share. Her relationship with her parents, siblings, in-laws and others are completely different. She was only mine as my life partner; no one else was that close. With this feeling in mind, I actually ended up doing injustice to my wife. I wanted my wife to be with me all the time for which her academic life had to be discontinued. She had completed Alim and needed to be with her father to complete her Fazil degree. My father-in-law would teach his daughters at home and prepare them for exams. My wife had passed Alim in this way, but I discontinued her studies. This was a great mistake in my life. I was of the erroneous opinion that as my wife didn’t need to work, it was therefore unnecessary for her to have higher degrees. I forgot that higher degrees make people more educated. I was satisfied with her level of intelligence, but it would have been wonderful if she had completed her graduation. When I realised this, it was too late. It was selfish of me to think that I would keep her with me all the time and not let her complete her studies. On the other hand, her own elder sister, Syeda Zakia Khatun, became the first woman in the country to complete Kamil by being home tutored by her father. She started her career as an Arabic teacher of a girls’ school and also obtained two MA degrees from Dhaka University in Arabic and Islamic Studies. She retired as the Vice Principal of Suhrawardy Degree College. I regret for not allowing her younger sister to follow a similar path. The peace and tranquillity that encompass a man and a woman and the love and friendship that are created between them through marriage is the greatest blessing of Allah. It is our Creator who brings this love and mercy between two people who never knew each other before marriage. No one else can create this relationship, as Allah stated in that verse that this is one of His signs that only those who think can realise. The love and affection a couple have for one another is truly astonishing. Couples who are not blessed with this love and affection have no idea what peace in life means. The most important point in that verse is the friendship Allah creates between the two people. The definition of the couple here is beautiful; they are close friends who show mercy to each other. Only true friends show mercy to one another at difficult times. I find it surprising that this attitude of friendship toward wives is missing even among many religious families. For them, a wife is nothing but a servant whose prime responsibility is to look after her husband. The wife must look after everything in the house and the husband thinks that it is not his responsibility. The husband enjoys his weekends, but the wife has no holidays; rather her workload is increased when the husband is at home. Allah has made the wife as a friend of the husband with whom he should discuss all family matters and whose advice he should seek and give importance to. She deserves love and respect. If he rebukes her in front of their children, then he is not treating her as his friend. Children will then consider their mother to be their father’s employee, which eventually affects their behaviour towards their mother. If they see their father treating their mother with respect, then it is a very important lesson for their future. If children misbehave with their mother, then the father has the responsibility to control them and ensure that they respect their mother. He was not only my son, hers too. Yet parents generally complain about their children to the other half as if the other person’s child has done the wrong thing. He nodded saying yes. He stood with his head down realising the gravity of the situation as I called him at an unusual time. He again nodded meaning that he knew it. He again nodded and seemed clearly repentant. The first stage of tawba is repentance. The next stage is seeking forgiveness. When I stood holding his hand I found tears in his eyes. As soon as he reached his mother he jumped to her feet and started crying aloud. He didn’t need to seek forgiveness through words and he wasn’t in a position to do so either. His mother took her son in her arms and started crying uncontrollably. Even my eyes became teary with happiness from witnessing such a lovely bond between the mother and the son. The final stage of tawba is to resolve not to repeat the sin. This son of mine never repeated this type of behaviour with his mother that would make her unhappy. This proves that when one tries to control children with love, the success becomes permanent. I applied this type of successful strategy to keep my children in the right path throughout my life. I learned another thing through my experience of bringing up children. If a child is rebuked or smacked in front of their younger siblings, then they feel insulted and behave rudely with their younger brothers and sisters. To succeed in bringing up children properly we should remember not to affect their self-respect. It is never a good idea to insult children in front of their younger siblings. It is the responsibility of the husband to ensure the dignity of his wife and it is the parents’ responsibility to ensure the self-respect of their children. There is no alternative than to manage children with love. It is not possible for a child to grow up as a worthy citizen if they see their parents fighting and arguing all the time. Only humane behaviour can develop humane qualities, nothing else. I was not keen to get married early, as I had just started working and had very little savings. After a few months of joining the college a letter arrived from my father saying, “We have started searching for a bride for you; you too should join the search.” I was a little concerned as I was not prepared to get married for another couple of years until I had some savings. I knew that my father would bear the expenses of my wedding, but there were some expenditures that were entirely my responsibility to manage. Hence, I wrote to my father that I wanted to wait two more years and that I would discuss this issue in detail when I returned home during the summer break. When I reached home for the summer holidays my mother informed me that the search for my bride was in full swing, particularly because the bride for my younger brother Dr Ghulam Muazzam was all but fixed. It was awkward to get the younger brother married before the elder brother, hence the hurry. My younger brother had by then joined Dhaka Medical College after completing his MBBS degree from Kolkata Medical College with a gold medal award for excellence. I came to know from my mother that he was ready to get married. I knew that my age was ideal for matrimony and that one should not unnecessarily delay marriage. Meanwhile, my father was not ready to accept the reason for my desire to delay my marriage. I wanted to know how they could find a bride for my younger brother so quickly, whereas there was little opportunity to find one for me. I was told that my father wanted a daughter of an Islamic scholar as a bride for me, one who was capable of giving proper Islamic teaching to his daughter. It was difficult to find someone who could fulfil these conditions, hence the delay. On the other hand there was no need to even search for the bride of my younger brother. My father was very keen to develop a new relationship with the family of my grandfather’s namesake and his close friend and classmate, Mawlana Abdus Subhan. He found that his second son, Mohammad Hossain, had a daughter yet to be married. My mother and sisters had already seen the girl and liked her, but they could not send the proposal until I got married. I was delaying the marriage of my younger brother, hence I had no other option but to agree to get married soon. Those who were assigned to search for my bride continued their task and I had no control over it. But I had to give information about one proposal myself. My colleague in History at Rangpur College, Yusuf, who was also my classmate and close friend at Islamic Intermediate College, one day showed me a letter in the teachers’ common room. It was written by a professor of English at Kushtia College named A T Saadi. I knew him a little as he was my junior in Dhaka University. The letter was a marriage proposal for his second sister with me, for which he wanted Yusuf to do the matchmaking. He asked me to read the letter as part of the responsibility he was given. I came to know that the prospective bride’s father, Mawlana Mir Abdus Salam, was a professor of Arabic at Naogaon Degree College. Her uncle (husband of her aunt) was Mawlana Abdullahil Baki, the then president of the East Pakistan Muslim League and a member of the Pakistan National Assembly. Along with other additional information, this seemed quite a good proposal to me. I asked my friend and matchmaker to get more information about the bride and her siblings. I then wrote to my father about this proposal. I was surprised when I received my father’s reply. I was informed that the bride’s father had already been to Chandina to meet my father and developed a warm relationship. My father had already chosen my father-in-law and the bride’s father had also chosen me as his son-in-law. He was so satisfied with the recommendation given about me by his son that he didn’t feel the need to meet me in person. I also came to know that some relatives of the bride living in Rangpur and Bogra had come to see me without me realising it, and certified that it was difficult to find such a good groom among thousands. My prospective father-in-law had stated all this to my father during their meeting. My father’s letter also said that the bride’s father had invited me to go and see her at their residence in Naogaon and reminded my father that it was an important Islamic practice. This made me respect the bride’s father even more. I realised that my father had already fixed my marriage and was waiting for my approval. He would take the next step once I saw the bride and gave my consent. This was quite embarrassing for me. I had never heard of such a situation among my relatives where the groom had to go all by himself to see the bride. Usually this is done by the groom’s father, mother, sister, aunt, sister-in-law and so on, but in my case the difficult task was given to me, that too all alone. I realised that my father had already developed the relationship with the bride’s father and did not find it necessary to see the bride himself. I was in a dilemma whether to see the bride or not. What would I tell my father if I didn’t like her? He had already selected her and felt that he had found the daughter-in-law he wanted. There was no other alternative proposal that would fulfil the condition of my father. It was really embarrassing for me to see the bride in those circumstances. When I was considering my options, the second letter from Mr Saadi arrived through my matchmaker with the information I had asked for. I told my matchmaker that I had never seen such a successful matchmaker who didn’t have to do any running around and got all the information through letters. The information I got in the second letter was enough for me and I informed my father that I didn’t want to see the bride and I had full confidence in his choice. I thought, what use would it be by seeing the bride other than seeing her face, and girls from families like this would never even stare at me. I remembered that when my sister’s groom came to see her, they asked her to open her eyes. She opened them for a second and closed them again and didn’t utter a single word. The groom’s father was rather happy at this shyness of my sister. The groom has to go to the place where the bride’s family arrange the wedding party. My father-in-law lived in Naogaon, a district in northern Bangladesh, and was a professor of Arabic in Naogaon College. He arranged the ceremony at his own house. On the other hand, my father lived and worked in Chandina, which was very far from Naogaon. We started the long journey by first taking a bus towards Comilla Railway Station and got on a train at 10pm. Lower middle class people like us had to travel on the inter-class compartment where there was no scope for reserving seats. It was difficult to get on those compartments at night time as it was full of people. We somehow managed to get on the train. As the journey was for the whole night, it was important to find a place to sleep, which was very difficult. There was no question of getting any place on the seats, so we were looking for places where people keep luggage. My younger brothers and cousins somehow found a place for me to sleep. I was given this privilege not only for being the eldest in the generation, but also for being the groom. My uncle managed to get a place for my father to sleep in the next compartment. The train reached Bahadurabad Station early in the morning. Now it was time to rush for seats on the ferry to go to the other side of the river Jamuna. This is the reality of life; the competition never ends, and everyone is busy to ensure that they get what they want. It was 28 December 1951. The weather was very cold and foggy. We somehow managed to do our ablution for the morning prayers and perform the prayer. When the train reached the Fulchuri Port at the other side of the Jamuna, then we had to run again to get seats on the train. The road was terrible to run on, but few care. I saw quite a few elderly people and children tripping over while running. When we finally reached Shantahar Station it was noon. My in-laws had reserved a bus for us at the station, so we didn’t need to hurry again. The Naogaon city is three miles from Shantahar Station, and when the bus reached Chakdev Street it was time for the noon prayers. We started our journey by bus and ended with it. In the middle we took a train, then ferry, then again train. After a marathon 18 hour journey, everyone was extremely tired and hungry. My father-in-law was a renowned scholar of Ahl al-Hadith4 and was very cautious about the guidelines of sharia. That is why there was no extravagance in the decoration of the wedding venue. The simple ceremony began after the afternoon prayer. The marriage registrar of Naogaon was a resident of the same street, so there was no delay. The main wedding ceremony was led by the bride’s father. After the completion of the wedding rituals, he led a very emotional dua during which he wept and made us weep too. I saw tears in my father’s eyes who seemed very happy to marry me to a family of the standard he wanted. His tears were to express deep happiness for the achievement of marrying his eldest son to a good Islamic family. I was feeling a bit uncomfortable and thought that it would have been nice had my father not asked to reduce the amount for the dowry. I was praying that my father did not demand the amount to be much less. He then requested very humbly whether making it five hundred less would be alright. My father-in-law agreed, and my wedding was completed with 2,500 taka dowry. It was not possible to provide my wife with the full amount immediately. When I received the money from my provident fund after resigning from my job, I immediately fulfilled the full amount of the dowry to her. 4 The phrase Ahl al-Hadith (people of hadith) refers to a group who venerate the Sunnah and seek to propagate it.